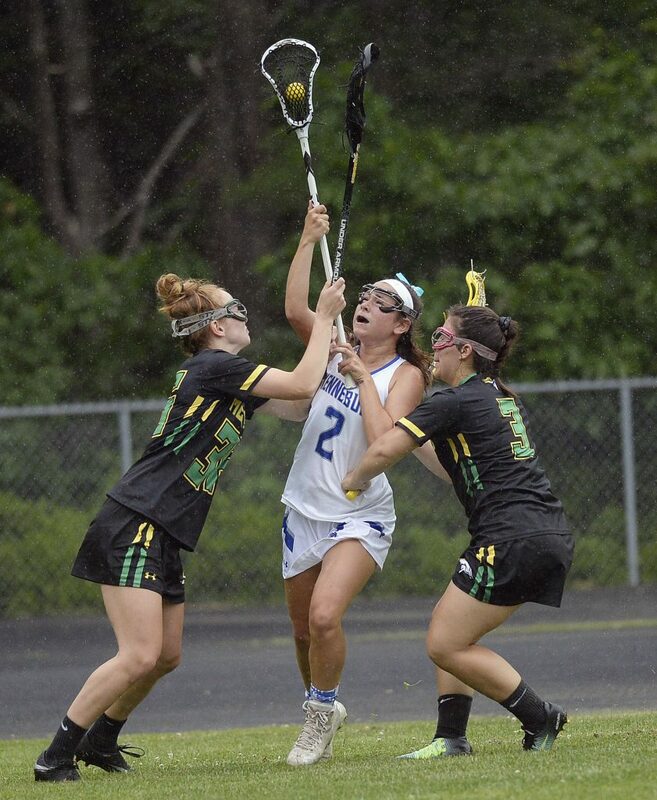 KENNEBUNK — “Yikes.” That’s what Massabesic goalkeeper Lydia Wasina said she’s thinking when preparing to field a shot from the free position. 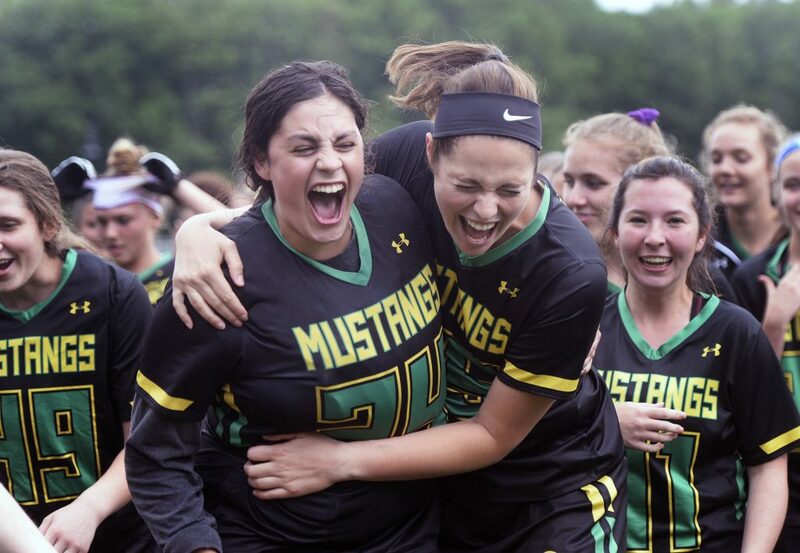 But in the Class A South girls’ lacrosse final Wednesday against top-ranked Kennebunk, she came up big, making six of her eight saves on shots from the free position to backstop the second-seeded Mustangs to a 10-9 victory. 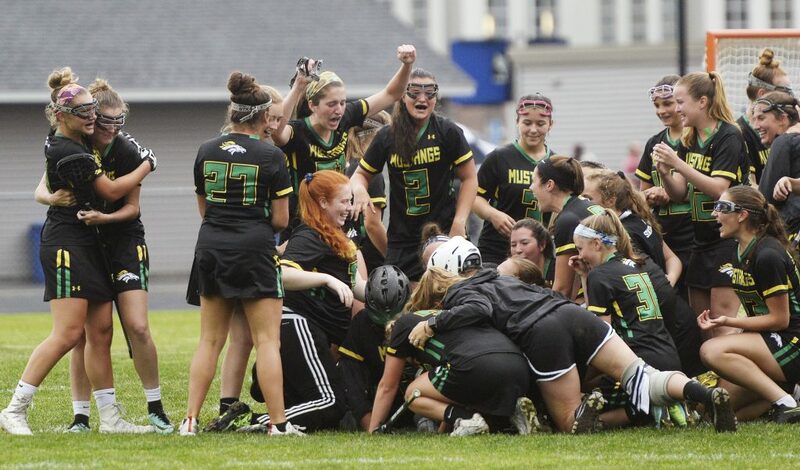 Massabesic (14-1) will seek its second straight state title Saturday against Falmouth. The Mustangs’ only loss of the season came May 24 against previously undefeated Kennebunk, which won 7-6. 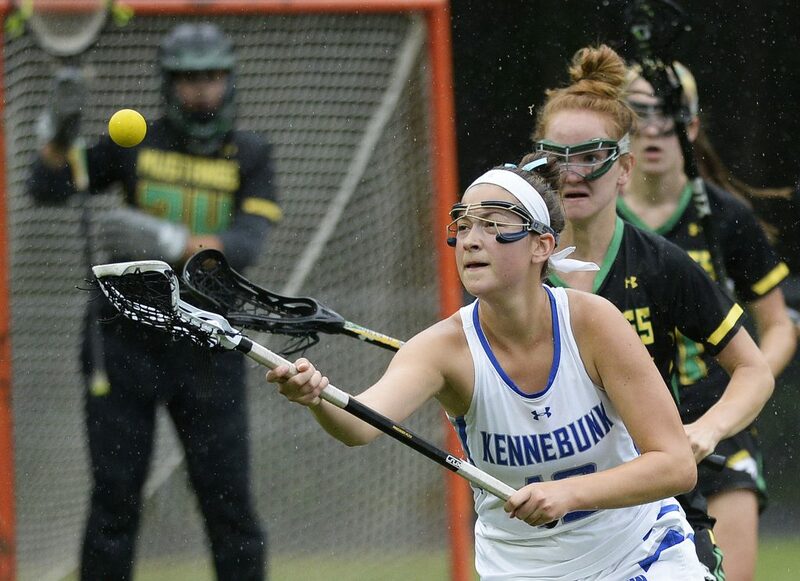 Down one goal in the final minutes, Kennebunk threatened to tie the score for the third time, but Kaylee St. Laurent made sure the game didn’t go into overtime by forcing a turnover that allowed Massabesic to run out the clock. Massabesic got goals from five players, with Skylar Renaud and Morgan Pike scoring three apiece. 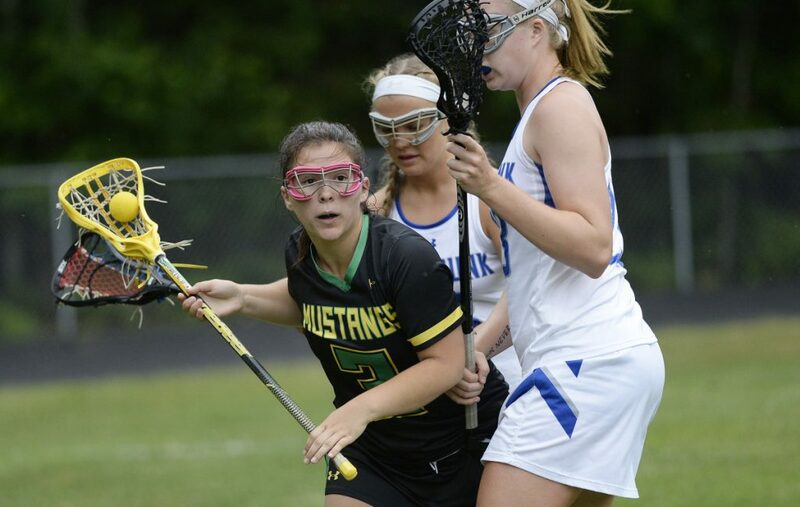 The Mustangs opened a 2-0 lead in the first four minutes with Hallie Benton scoring off an assist from Pike and Renaud adding a breakaway goal 3:55 into the game. Erin Gorton, who led Kennebunk (13-1) with three goals, answered less than a minute later, then matched a Massabesic goal by Logan Champlin, scoring on the ensuing faceoff to cut the Mustangs’ lead to 3-2. A minute later, Pike scored for Massabesic from the free position, followed by back-to-back Wasina saves on Kennebunk shots from the free position. In the final 10:03 of the half, Kennebunk outscored Massabesic 3-1 to tie the score at 5-5. Liz Kiezulas scored from Emily Archibald and Hallie Schwartzman scored twice from the free position. Pike notched Massabesic’s final goal of the half. Brie Beaudette gave the Rams their first lead of the game 1:23 into the second half before Gorton put Kennebunk up 7-5 just 1:37 later. But Massabesic answered with four straight goals for a 9-7 lead with 16 minutes remaining. Renaud kicked off the run, then added the go-ahead goal from the free position after the Mustangs tied the score during a scrum in front of the cage. Kennebunk briefly appeared to tie the score 8-8 when Archibald found the back of the net, but a shooting-space foul negated the goal. Pike responded on Massabesic’s next possession, scoring from Cailyn Forrester for a two-goal lead and a major momentum boost. After Kennebunk’s Beaudette and Massabesic’s Madison Drain exchanged goals, Archibald scored for Kennebunk from the free position with 4:10 left.